A superb and creative design illustrating a magical creature that kids love! 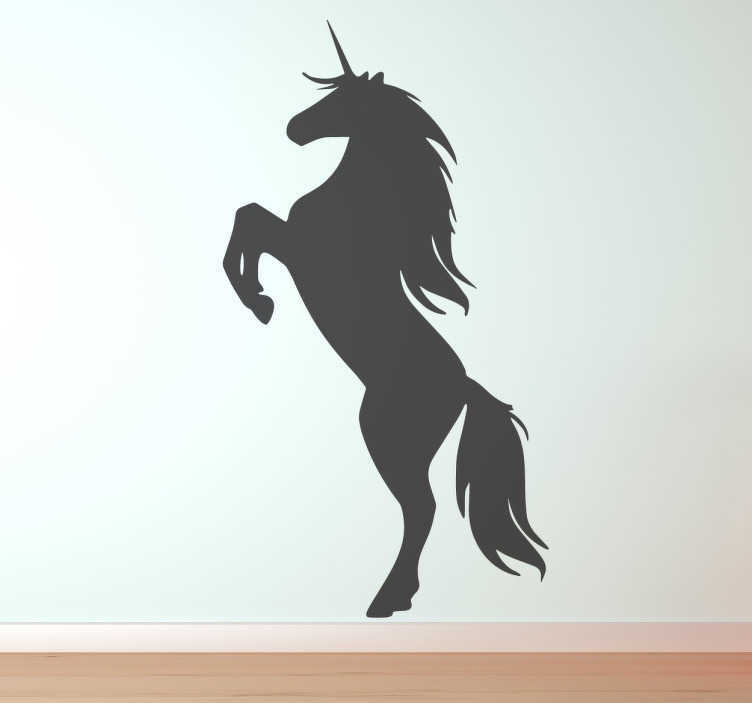 A monochrome decal from our collection of unicorn wall stickers. Do your children love unicorns? Looking for a brilliant wall decoration for their bedroom? If yes, you have found the ideal unicorn decal. This monochrome unicorn design is suitable for all environments. Ideal for places with kids such as schools, nurseries, etc. Available in various sizes and colours. Easy to apply and remove.